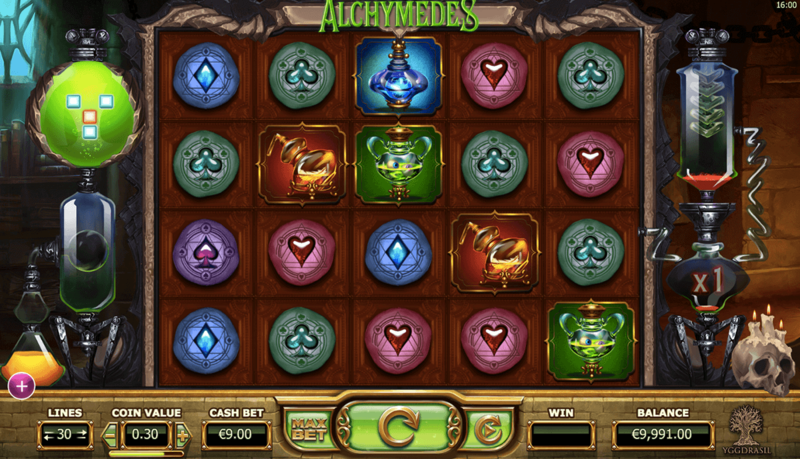 Alchymedes is an all new slots game here at Easy Slots, everyone needs to escape from reality every once in a while. Sometimes, the thought of receiving a letter from Hogwarts, and jetting off on a train from Platform 9 ¾ can be a dream come true. 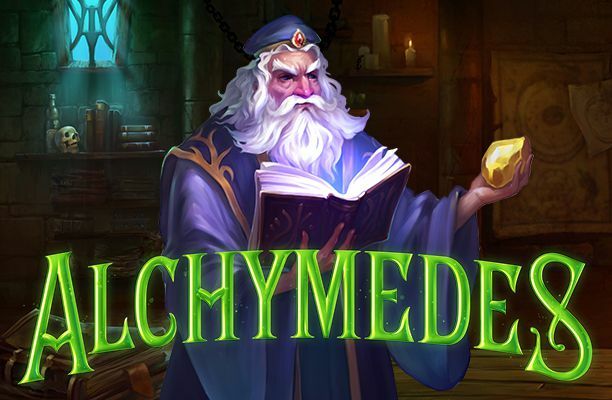 Right now, you may believe that those kind of dreams can only remain as dreams, but the online slot game, Alchymedes, will definitely make you change that belief! The game board places you back to school with a chemistry set in front of you, where you can create colourful potions that can make your crush fall in love with you, or turn your rival into an ugly toad. Made by the developers behind Yggdrasil, the casino game transforms you into a wizard that's able to gain big winnings while you sit comfortably at home! Always thinking far ahead, Yggdrasil has grown a big reputation within the casino industry. their products are out of this world! The amount of good customer support and modern technology will certainly get you trying out some of Yggdrasil's games if you're still a bit sceptical about the developers. But even with that in mind, how could you be sceptical on playing Alchymedes, when their other games like Robotnik, Double Dragons, and Trolls Bridge have received so many fantastic reviews? Your alchemy class will begin with a mini introduction that transports you into the woods, where you will see an eerie but harmless green smoke seeping out from the shadowy building beyond. The game itself will take you to a room where witchcraft and wizardry take place. The old tattered books on the shelves behind the 5 reels resembles the combination of a library, a study, and a laboratory. Next thing you'll be thinking about is where you can get your wands and owls. All of the base and special symbols that will appear on the reels are just as mysterious and colourful as you would expect in this magical game. You have the traditional hearts, diamonds, clubs, and spades that give you lower layouts. And there are 4 crystal glass jars filled up with either purple, blue, orange, or green that have higher payouts and make exquisite ingredients to add to your potions. You will see a beaker on the left that would be filled with a green toxic substance, this represents the Wildcards that will aid you in the classroom. Get enough of those and you will activate a spell that allows you to change the Alchemist's Scale. 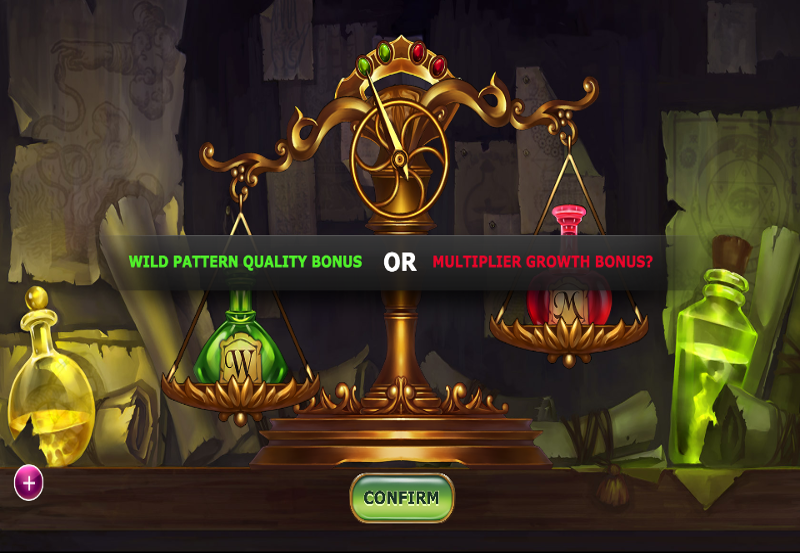 • Alchemist's Scale BONUS FEATURE: Each winning round is achieved by emptying the beaker with your Wildcards. With this feature, you'll be given the option to play on maximum WILD, majority WILD, maximum multiplier, majority multiplier, or base. • Random BONUS FEATURE: After playing the Alchemist's Scale round, this feature will occur that boosts your multiplier growth, and offers you an instant cash prize of up to 2,000. Turns out not all witchcraft and wizardry is bad for you! Yggdrasil has definitely made a twist on this online slot game when it comes to knowing what combinations will get you instant wins and bonus rounds. The idea of emptying the beaker to activate the extra features is one that hasn't actually been thought of before by many iGaming developers.